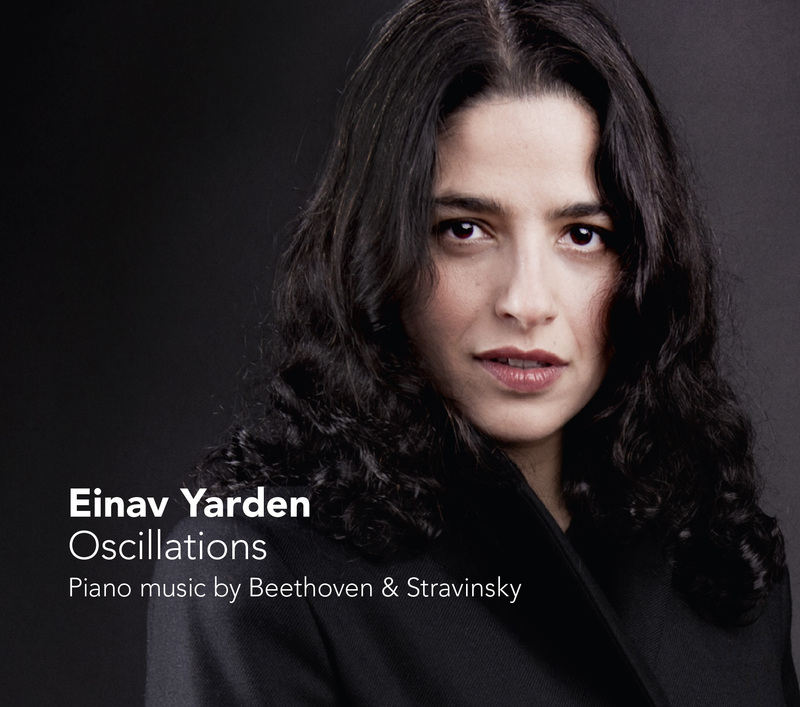 The pianist Einav Yarden juxtaposes two composers in Ludwig van Beethoven (1770-1827) and Igor Stravinsky (1882-1971) who are rarely named in one breath. While the name of Beethoven is mostly heard in the “classical triad” along with Haydn and Mozart, we usually group Stravinsky with Schönberg, especially as Theodor W. Adorno pronounced the two composers as antipodes and hence associated one with the other. For Beethoven, the piano was a central instrument, which gave him the opportunity of shining equally both as composer and pianist. Five piano concertos, 32 sonatas, numerous variation works, bagatelles, individual pieces etc. demonstrate the purely numerical significance of the piano for Beethoven. In direct comparison, Igor Stravinsky’s oeuvre for piano is quickly browsed through. Three works for piano and orchestra, the sonata of 1924, some early works, etudes, barely a dozen individual pieces, some works for two pianos. But despite this rather sparse oeuvre, the piano was a central instrument also for Stravinsky. “Every note I wrote,” said Stravinsky, “was tried out on this instrument, every interval singly tested, heard again and again.” And Stravinsky, too, wrote piano works for himself to perform in the concert hall. particularly after 1920. "Einav employs superb dynamic sense, stellar pedaling technique, and exceptional “voice-leading” – the ability to find and tease out internal melodies from a massive cornucopia of notes – to make the piano tell a tale." "Ms. Yarden’s sparkling articulation almost jumps off the disk"
"She paires Beethoven with Stravinsky to striking effect, merging that unlikely couple with imagination and exceptionally vivid playing." ""I listened to the two Beethoven sonatas first, and it was immediately apparant that a great virtue of Einav Yarden's playing is that she not only observes Beethoven's dynamics and articulation marks scrupulously but (and this is much more important) she understands the reason for his markings, so that it is their musical significamce that she conveys to the listener""
""The pieces of Beethoven, which should illustrate her vision, she chose very well""
"In the middle of the serenity of the rarely heard pieces of Stravinsky on this album, we hear sudden moments of silence and tensions by building a climax, even when continuity would be more obvious." ""Yarden has clearly absorbed a profound understanding of Romantic and modern pianism""
"Yarden's fingers are brink, the recording has esprit and is of high entertainment value"
"Einav Yarden has an excellent feeling for musical moods and a masterly culture of touch and piano precence"
"A fascinating debut-CD of a wunderful musician"
""The genius thing with Yarden is primarily her unprecedented high pianism in terms of the ultimate mastery of her instrument (no wish rests unfulfilled! ), but most of all, the way in which all these diverse characters, not only within the program as a whole but also in the different pieces, managed to come together into a seamless exemplary total, especially in dramaturgical respect." "A striking and succesful choice of repertoire, a succesful debut." "In an era where the concept of an album hardly ever exists, it’s a delight to listen to a CD that has a beginning, middle and end. Fascinating."